Great opportunity to own a home at Yosemite West and enjoy Yosemite National Park all four seasons of the year! 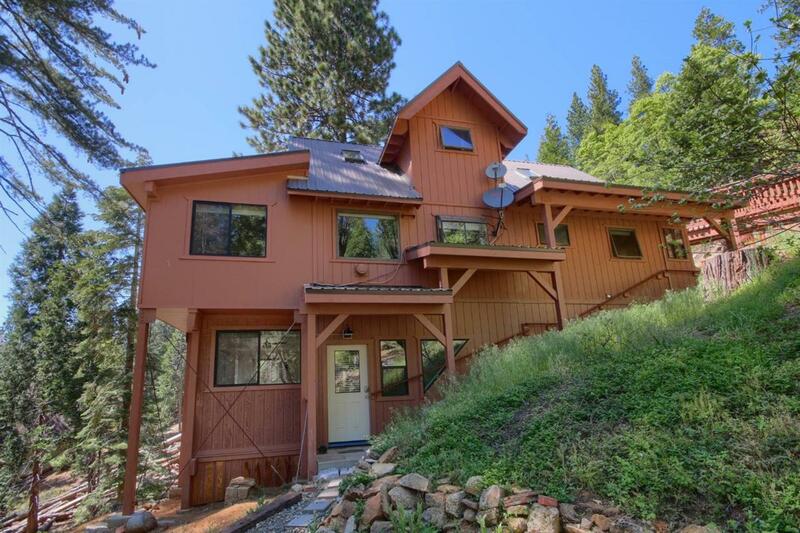 Home is nestled below the road for privacy, with direct driveway access--or by stairs from additional parking area. Three bedrooms provide room for you and your family/friends, with a separate room below ideal for keeping your supplies and recreation equipment between visits--or home office for year-round resident. Imagine sunrise at Glacier Point, home for breakfast before heading out to the Big Trees, back home for lunch, an afternoon hike in Yosemite Valley, home for dinner, and back to Glacier Point that evening for star-gazing--and always less than 20 miles from home! Nearby trails provide quick access to Yosemite wilderness areas and a wonderful sense of solitude. In winter, snow-based recreation is available nearby, whether cross-country skiing, snowshoeing, snowboarding, or downhill skiing (within 8 miles of home) or outdoor ice skating in Yosemite Valley. Call today!